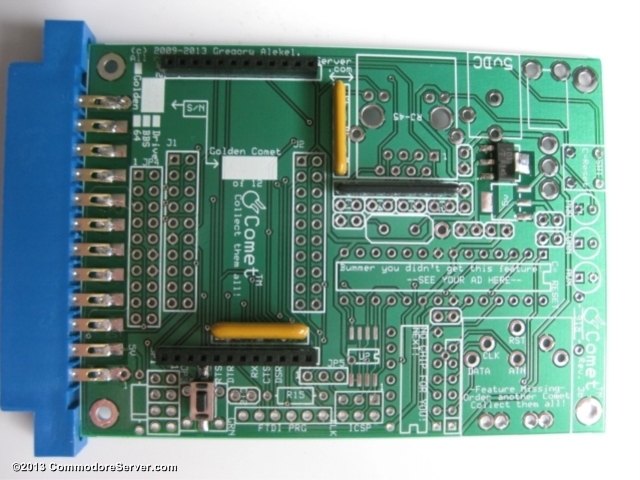 Here's how to build your new Comet64 when you purchase it as a kit. Note: This is for Rev. 3b only. 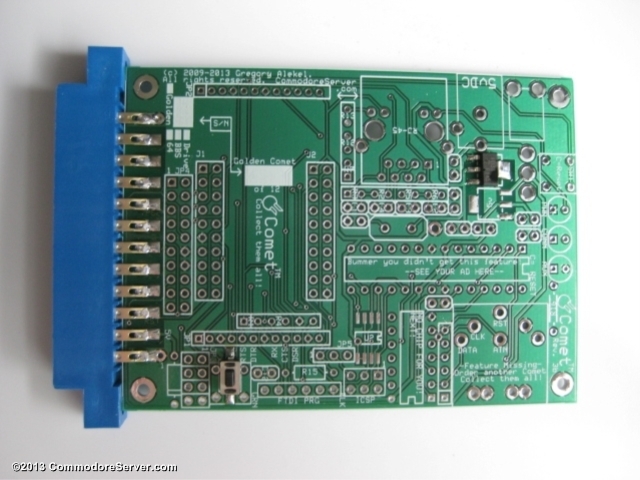 Here is the article for the Earlier Comet64 Revision Assembly Instructions. 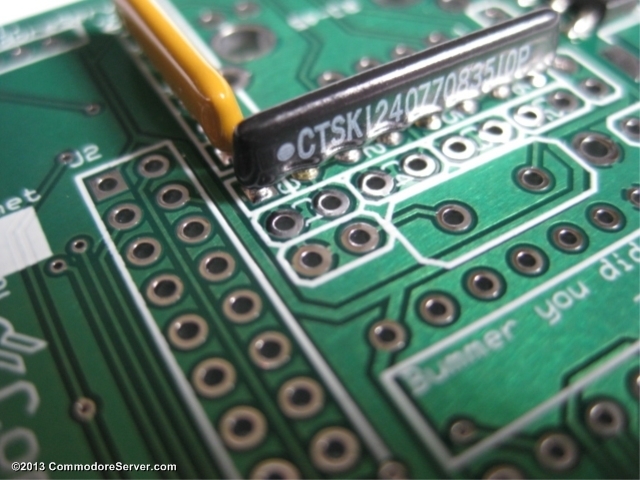 Soldering requires skill, patience and precision. 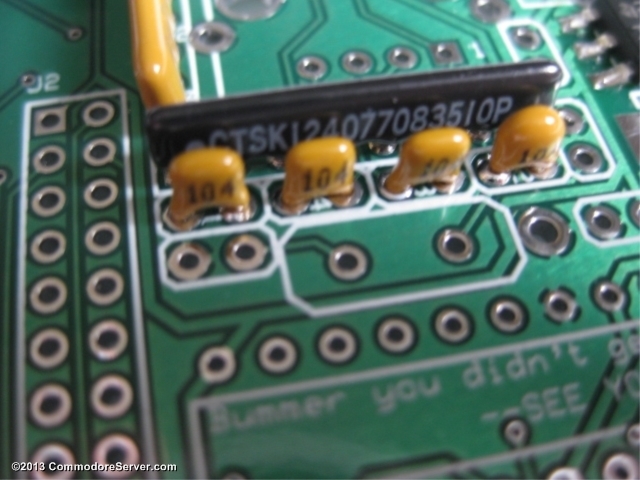 Although the circuit board has a "solder mask", it is still possible to bridge connections with a blob of solder. 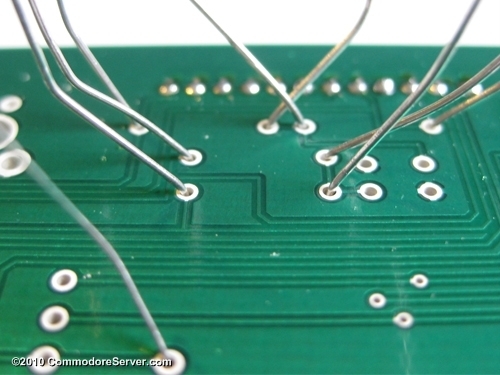 Most of the solder connections are small, so make sure you have a clean, sharp soldering iron tip. The order in which you assemble the parts is not important. However, I have found that the order listed here is helpful and allows easier placement of parts. I recommend reading this article in full so you get the full idea of assembly. At least read each step in full before assembling the parts for that step, just in case there are special instructions or procedures that you need to follow. Solder every single tab, even if it is not used, so that you have a strong connection to the board. These should be your first parts to install. 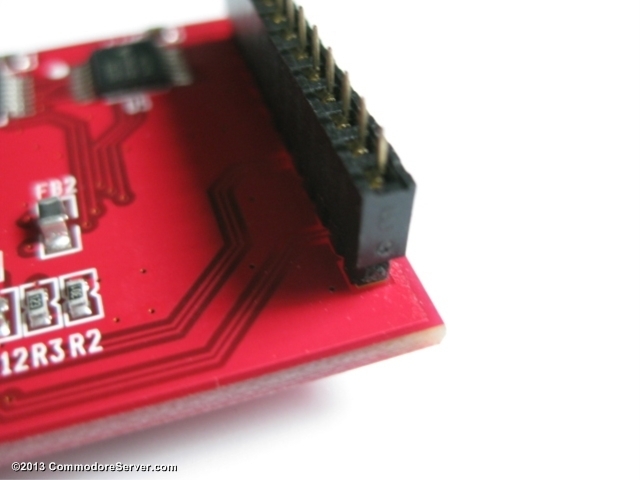 Place a tiny dab of solder on one of the solder pads before attaching the part. Then align the part and heat up the leg. 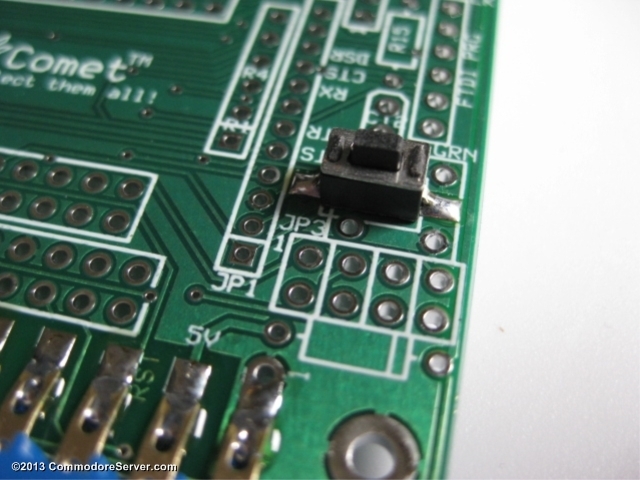 This will adhere the part to the board temporarily while you solder the other legs. 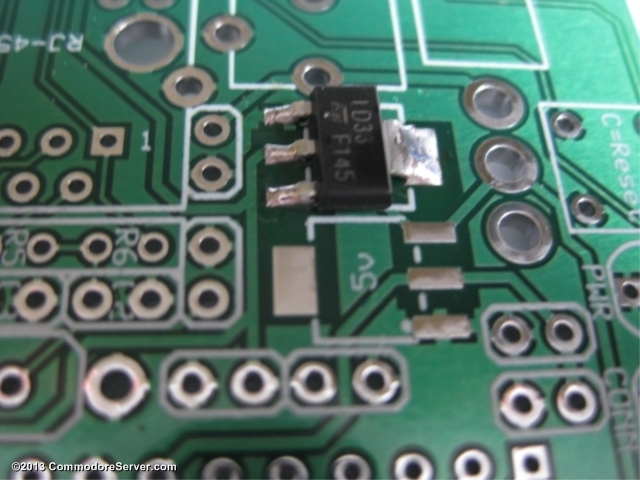 When the other legs are soldered, re-heat and apply additional solder to the temporary solder joint. 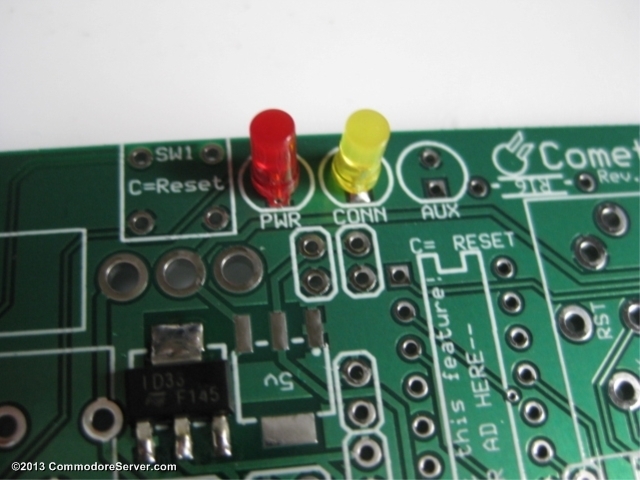 There are two places for voltage regulators on the board. 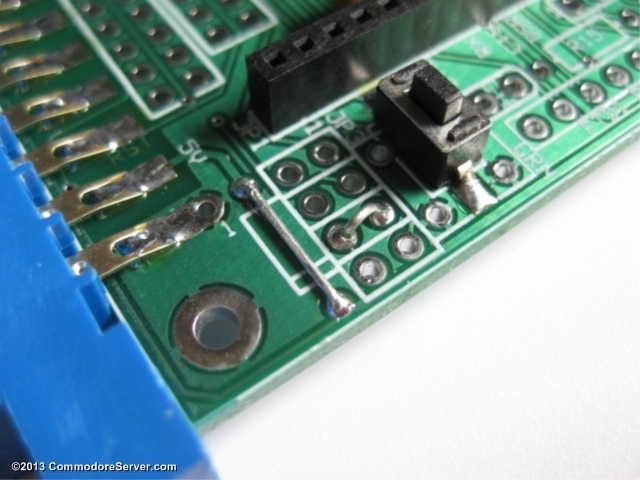 Solder your regulator to the 3.3v pads. It is important at this point to take note of which side of the board is UP. 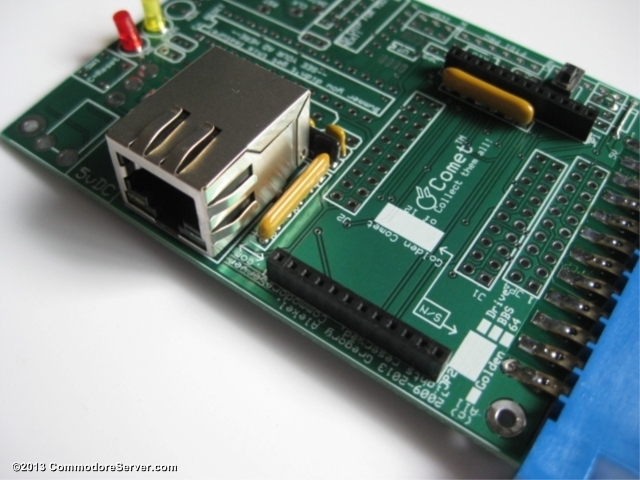 Components should all be placed on the top of the board, which is the surface with the white printed silkscreen. The headers need to be soldered with care. 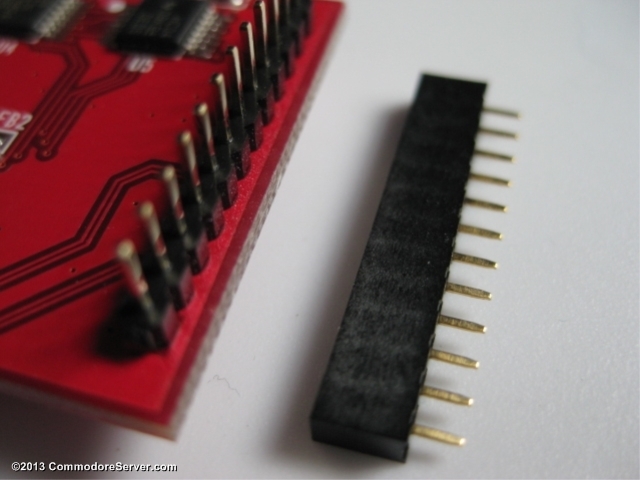 When you apply solder, it is easy to apply too much and the solder will drip down into the female part of the connectors, preventing you from inserting the Wiz module completely later on. 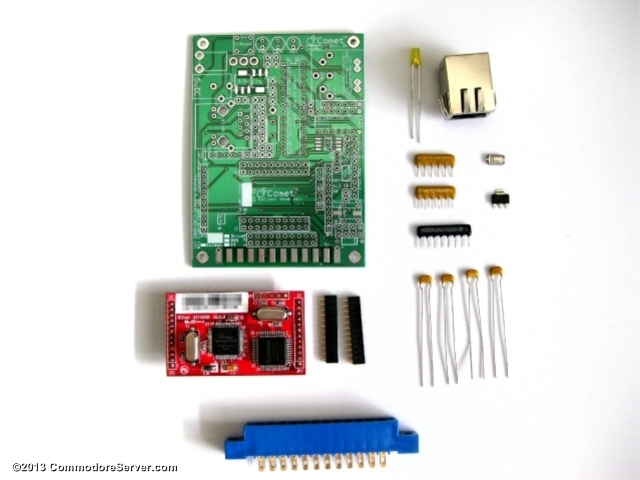 For this reason, I put the Wiz module in BOTH headers and then solder the headers on WITH the Wiz module attached. That way, if you DO happen to put too much solder in, the Wiz module will fit (although you won't be able to remove it) - a safe, fair tradeoff, I think. 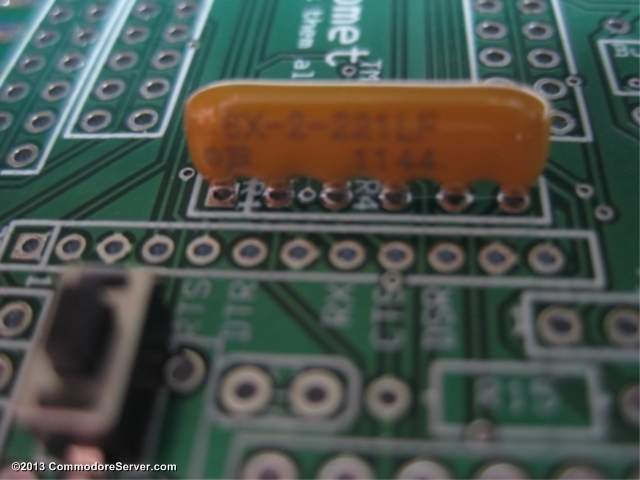 Orientation is important for the resistor arrays. Pin 1 is marked with a dot. 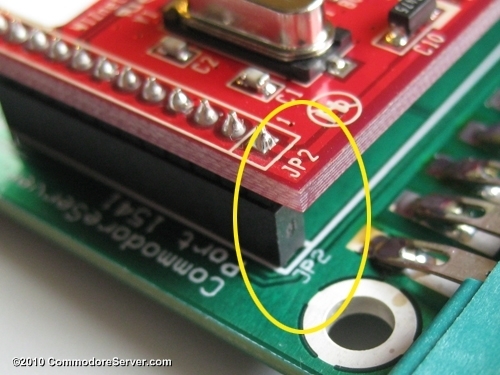 Be sure to place Pin 1 in the Pin 1 hole (has a square pad around the hole). Place the "CONN" LED in the holes, with the longer leg in the square hole. Note there is no PWR LED - it was supposed to indicate power connected, but there was a problem on the board, so this feature is not possible. Do NOT put an LED in the PWR spot. This picture was taken before I discovered the problem. 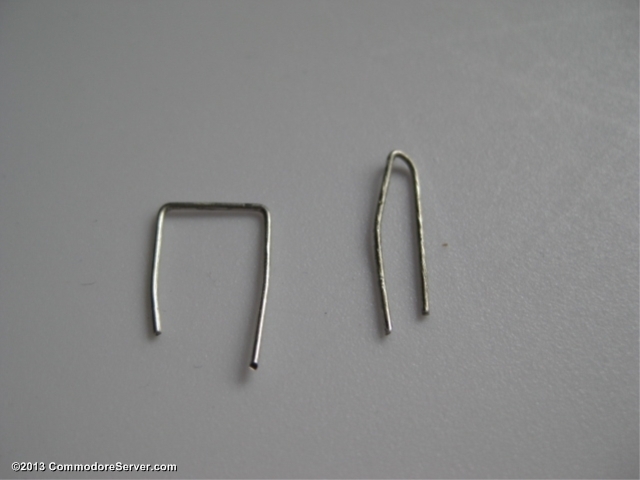 Remember the capacitor legs you saved? Now you must bend and insert them into a couple places on the board - they serve as jumper wires which are needed to complete the circuit. 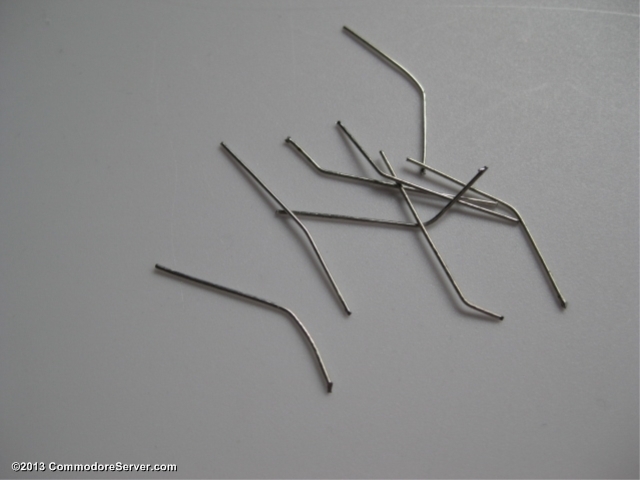 It might take a couple of tries - you can either bend them neatly or just loosely. As long as the connection is made properly. This will be somewhat difficult - it is an extremely tight fit. The important thing is to make sure the legs line up perfectly before pushing the connector in. The front legs (toward the edge of the board) are slightly out of alignment to where they should be - you'll have to ever-so-slightly bend them back to line up with the holes. The fat plastic connectors make it hard to push in, too. If you don't have the legs lined up properly, you could bend them, so please make sure to check out each leg. 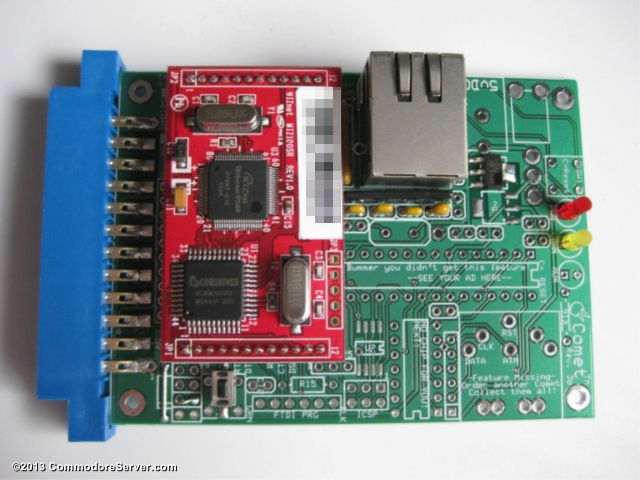 The Wiz board was pre-programmed to use DHCP and to connect to CommodoreServer.com. Now for the big test - does it work? A quick way to find out is to plug it in according to the directions in the Comet64 Installation Guide. If it doesn't work, carefully review and check that all steps have been completed above. If you are still having trouble, contact me and I'll try to help solve the issue.